She walks into her office to have a moment to herself. Once again, she is feeling overwhelmed with complex feelings of anger, guilt, sadness, shame, and deep emptiness. She isn’t really sure what to do with these feelings or where to find answers. Her friends try to reach out to provide comfort, though most of the time it just feels awkward. In the quietness of her mind questions race, Why did this happen? Were there signs? Could I have been more attentive? Could I have seen this coming? Could I have prevented this from happening? Will I ever be able to move on? Her close friend recently died by suicide. You or someone you know may be going through this horrific loss. Even though grief is a universal feeling that everyone experiences, grief from suicide is distinct. Due to the stigma in our society and self-blame, suicide survivors subject themselves to myriad struggles for years as they attempt to make sense of it, retracing all the memories and searching for answers and some validation or clue that could possibly bring some relief. There also are some who will hold on to the pain to try to punish themselves. Others may be fearful of forgetting thinking that, somehow, the pain may serve as a way of honoring their loved one or paying penance for not being able to prevent the suicide. 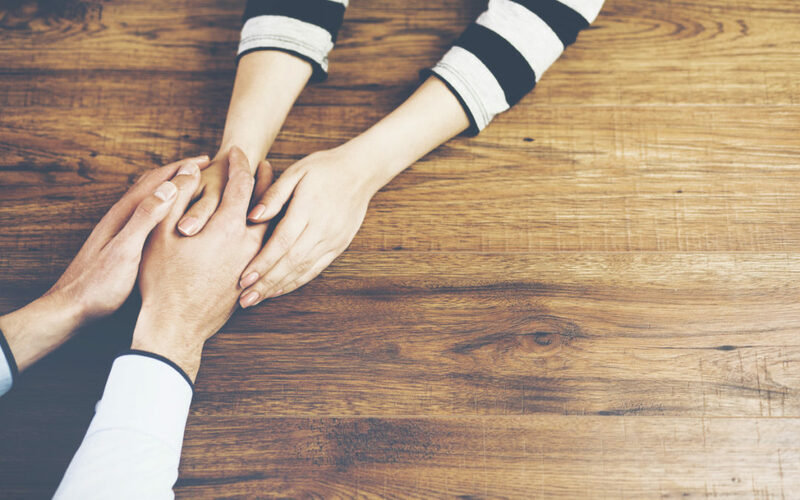 When you are willing to listen openly, acknowledging the death and the survivor’s emotional pain, you have taken the first vital steps toward helping a suicide survivor. This may include just sitting with them in silence, allowing yourself to be open and available. Processing this pain takes time–one of the most valuable things you can give to those who are hurting. Show courage by checking in with them on occasion and asking if they need your help in some way. You may be the one in hopes of finding help. If so, be patient with yourself to allow space to experience this grief. Hold to the truth. You’re not responsible for your loved one’s death in any way. None of us can control the decisions of others. Understand we all grieve and manage our emotions in different ways. You grieve in the way that feels the most natural, healthy, and healing for you. This includes places, times, and people with whom you want to share your grief. Release yourself to express these emotions through crying, laughter, seeking support in family/friends, attending support groups, and/or seeking professional help. When your emotions, thoughts, and vision for the future feel out of control, you can take control of your healing process with the help and support of others.